Terre Miroglio Family Estates has made a number of management changes. The vineyard and agricultural properties of the Miroglio family were merged under one holding – the Terre Miroglio Family Estates – in 2014 by the young Franco Miroglio. Among these are included the historical Tenuta Carretta in Piobesi d’Alba (CN) and Malgrà in Mombaruzzo (AT). 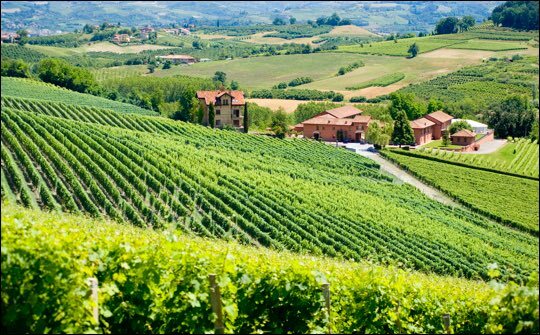 Tenuta Carretta produces great Roero DOCG wines and has property in the wine zones of Barolo and Barbaresco, and its origins are documented as far back as 1467. Malgrà is a traditional winery and produces the classic wines of Monferrato, including Barbera d’Asti and the new Nizza DOCG, while always remaining open to innovative enological technology. Edoardo Miroglio Wine Cellar is also part of the group. This winery was founded by a man who, with considerable entrepreneurial courage, also founded Elenovo in southeastern Bulgaria and its productive centre with over 150 hectares of vineyards. Elected Winery of the Year 2015 in Bulgaria, the EM Wine Cellar is bringing back little-known local varieties like Mavrud, as well as successfully cultivating international varieties like Pinot Noir to create wines of absolute quality. But the most important news that marked the start of 2015 is not about new acquisitions (Tenuta Carretta has been in the family since 1985, Malgrà since 2012, and EM Wine Cellar was founded in 2001), but about the shift towards the management of wineries. Franco Miroglio has chosen to focus on the property’s most prestigious brands with the objective of improving the quality of their products, their positioning on the world market, and, overall, to continue to valorise the distinctive features that each winery brings with it – whether viticultural, productive, or historical. Leading the change beside Franco is Giovanni Minetti, who has recently joined as delegate administrator of the group. Minetti, whose experience in the sector is vast, was then joined by Enzo Agresta in the role of foreign sales manager and Marco Sassano, sales manager of Italy. On the productive front, enologist Donato Lanati in Italy (a luminary of the sector as well as a family friend) works alongside technical director Roberto Giacone. In Elenovo, enologist Marco Monchiero supports enologist Desislava Baicheva and winery director Alberto La Rosa.